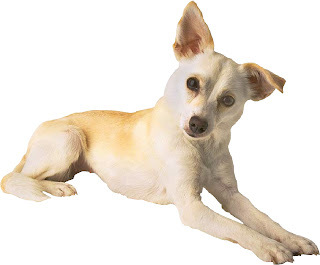 All Things Dog Blog All Things Dog Blog: Dog Lovers: Did You Hear the Money-Saving News? Dog Lovers: Did You Hear the Money-Saving News? Anyone ordering Clean+Green Pet Stain and Odor Remover can use the special promo code SANTAPAWS to receive $5 off their order, plus free shipping on orders of $30 or more! Help your Fido get healthy and slim for the New Year. Purina is offering a $20 coupon on their new weight loss prescription diet. Just get your prescription from a veterinarian and then log on to print out the coupon. FIDO Friendly Magazine is having 26 Days of Gift Giveaways. Check the link for all the info on how you can enter to win a prize every day in December. All the pictures of the prizes are there for each day. Happy holidays! FIDO Friendly has more specials going on, so read on. Get the FIDO Friendly gift subscription plus a bonus Leave No Dog Behind bumper sticker, for just $19.95. This offer includes 6 bi-monthly issues. You can also choose their online version, delivered to their email address before the printed version hits the stands, for just $12.00. The online version includes bonus video within the editorial content. Still looking for ways to save for you and your pup? 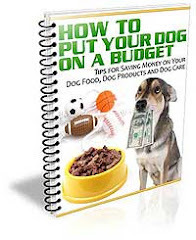 Did you know that new subscribers to All Things Dog Blog get a free download of the book, How to Put Your Dog on a Budget? Your subscription to All Things Dog Blog will make sure you never miss a post; you get all of our content in your mailbox as quick as our elves can get it there. To subscribe, just visit the blog's top right sidebar to enter your email address. Follow the prompts and be sure to activate your subscription in the confirmation email that will come to your inbox shortly. Enjoy! Thanks for these terrific tips!